It may not be sunny in Manchester, but it’s always sunny somewhere. So for those who are jetting off in search of sun-soaked shores (or those who already live on sun-soaked shores), we’ve put together a few choice items to see your right. Key words for this ensemble include sunburn, orthopedic, Shreddies, cord and Cresta Lemonade. Did Tupac go to the beach? And if he did, what did he wear? Sadly we’ll never know the answer to these questions, but we’d like to think it would be something like this Jean Jacket from Our Legacy. 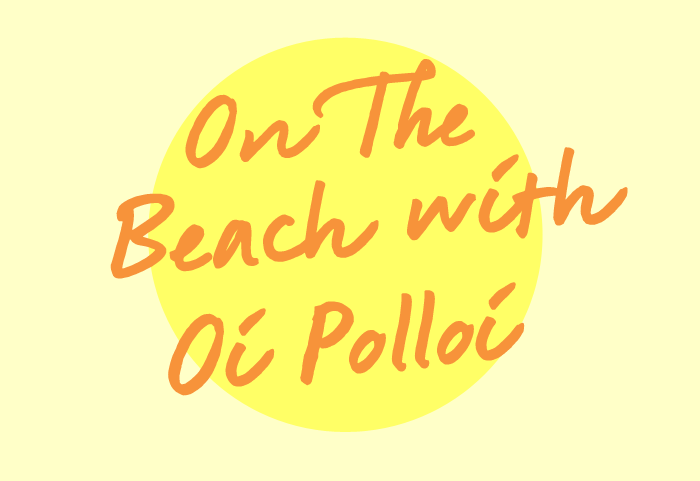 Unless you’re Mr Olympia then you’re probably going to want to wear a t-shirt on the beach. Come to think of it, even Mr Olympia should wear a t-shirt on the beach — shuffling around like a bronzed lamb shank is enough to put anyone off their badly cooked barbeque goods. Anyway, the ethically minded free-thinkers at Jungmaven do a good line of t-shirts, and thanks to the dash of hemp that circle of earth-children by the campfire on the other side of the beach shouldn’t mind lending you their bottle opener/fire poi. Not only are these cord shorts from Battenwear bob-on for a laid back beach sit-off, they also warrant the wearer the use of the hilarious pun, ‘beached wale’. Extra points when worn on a beach in Wales. Two footwear options for you: Birkenstocks if you like to feel the cool sea breeze on the tips of your toes, Vans if you’ve got a fungal nail infection. By no means are we saying you should take your laptop and your toothbrush to the beach. But chances are if you’re on a beach then you’re on holiday, and what do people take on holiday these days? Yep, laptops and toothbrushes. Keep them safe in luxury Euro style courtesy of Calabrese. If we sold novels by such acclaimed airport-friendly authors as Karin Slaughter, Maeve Binchy and Cecila Ahern then we would recommend them for a bit of casual holiday reading. We don’t, so we’ll settle for the next best thing — the latest issue of our Pica~Post ‘zine.